After following all those steps, you’ll be ready to go. How often should I repeat my main keyword on a page? Should the keyword only appear on one page, or on every page of my website? What is the importance of keywords in the URL? What about close variants, plural and singular? Fortunately, the over-emphasis on keywords is a thing of the past. But a lot of people still think about where to place their keywords in order to get the biggest SEO benefit. Forget about the keywords. Just focus on writing good content with your target audience in mind. However, keywords are still very important when it comes to SEO. Search is primarily keyword-based and search engines have to use keywords in order to understand, evaluate and rank documents. The keyword that a page is supposed to rank for must appear in the title tag. One time. Not twice, and not in variations. It’s also recommended to put the brand name at the end of the title tag. This will improve the trustworthiness of the page (for Google) as well as enhance the snippet in the search engine results (for users). The keyword must appear in the headline to immediately show the searcher, that the page is exactly what they were looking for. Ideally, the main headline is defined as <h1>. If that is not possible, for whatever reason, it’s ok to define it as something else, as long it’s the big headline on top of the page. The keyword must be mentioned in the copy. If it doesn’t, the content is most probably not very relevant to the search query. Additionally, it’s good to use words that are topically related to the main keyword. Google will understand that your text is not only focusing on a keyword, but also covering a topic from many angles, which will give you an advantage. 2-3 times is enough. Now, it’s not terrible if your keyword appears more often than that, if the text requires it. But it’s counterproductive to use it unnaturally or to use close variants of your keyword. Google uses only the word-stem, so any grammatical variations that you may try to target by using them as often as possible will just look like keyword-stuffing to Google. You don’t do this for better rankings (the meta description is not a ranking factor), but to achieve a higher CTR on the search results pages. Do this only if it makes sense. This helps to rank in image search. For websites that rely very heavily on images and have little text, the alt-attribute is a good place to get some additional content on the page. I’m not talking about the homepage! But on sub-pages, it is absolutely reasonable to use the keyword in the URL – for usability, for better understanding of the URL and for good rankings. Domain.com/keyword1-keyword2/keyword1-keyword3 : no! Just don’t do that. Use the keyword in sub-headings (h2, h3, …). This is useful and helps users and search engines to better understand what your page is about. And once you’ve covered these points, it’s time to stop thinking about keywords on a page and move on to other more important things. Author: Thomas Kloos is head of an SEO agency in Vienna. He’s been in the business for 15 years, speaks at conferences, gives workshops on SEO, AdWords and online reputation management and consults clients worldwide. 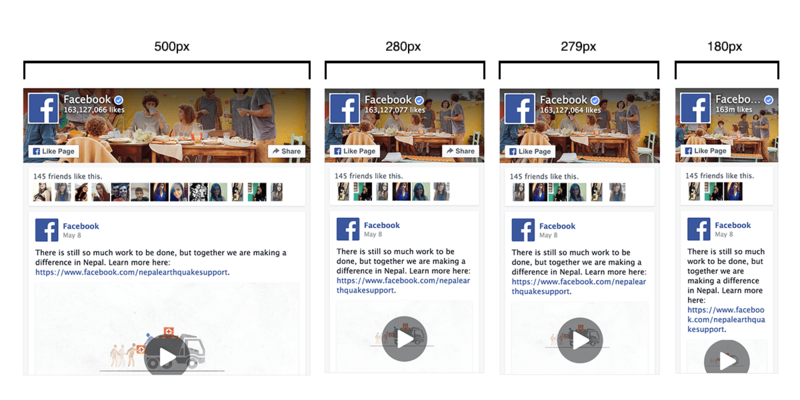 Facebook is changing the way users can employ the “Like Box Widget”. I have no idea why – it’s yet another change to their code that makes us developers and website owners jump through extra hoops. The Like Box is deprecated and will stop working on June 23rd, 2015. The bad news was that this new “Page Plugin” version was going to require a minimum width of 280 pixels but thankfully Facebook changed it’s mind and will continue to allow narrower widths. Currently the allowed range is 180 to 500 pixels wide. What is the Like Box? Facebook provides a “Like Box” or “Page Plugin” that lets you easily embed and promote any Facebook Page on your website. The key advantage is that your visitors can like and share the Page without having to leave your site. The code you put on your page talks to Facebook and Facebook can tell if a user is logged into Facebook and then find connections between their friends and your page – and then show only the relevant faces. That’s a great way to add authority to your site. 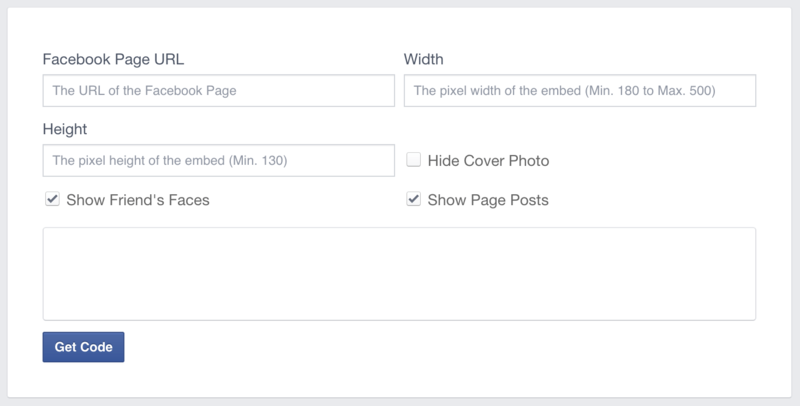 There are two plugins I like to use: The Facebook Like Box Plugin lets you easily embed and promote any Facebook Page on your WordPress website without having to grab the code from facebook.com. This plugin was updated and will automatically move over to using the new “Page Plugin” – but you will want to review the new options to make sure they match your site – especially the “cover” photo. 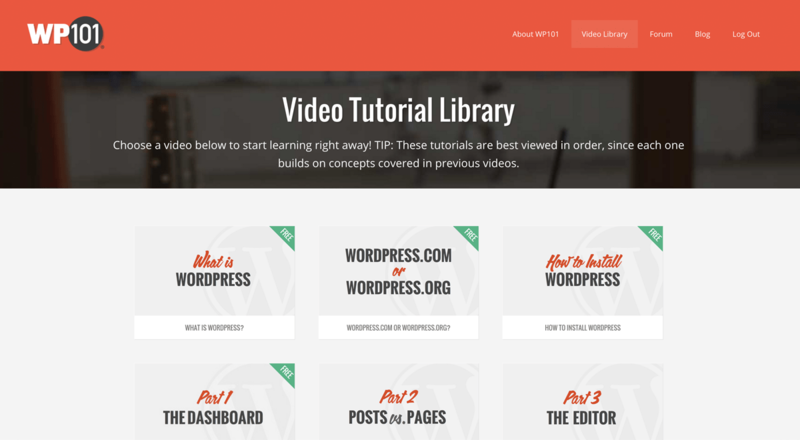 TIP: there is a little typo in this plugin – the “hide cover photo” option appears twice. The 2nd time that option appears it actual should say “hide faces”, so if you set it to ‘false’ then it will show faces. The other plugin is part of Jetpack. They are aware of this issue and also make note that: Apparently If you do not manually upgrade the Page Plugin (which this PR does), the Like Box plugin implementation will automatically fall back to the Page Plugin on June 23rd 2015. It’s quite easy to customize your plugin and you can see how it looks like right away, in the box down below. The first and last images show how the widget looks like with the maximum and minimum width, respectively. Notice that the share button is removed when the width is lower than 280px, avoiding design issues. Search engine optimization (SEO) is the process of affecting the visibility of a website or a web page in a search engine’s unpaid results. If your site is higher ranked on the SERP (search engine results page) it will generally get more visitors, more ad views, more sales etc. Many businesses target a lot of keywords to track and know how hard it is to keep it all straight. 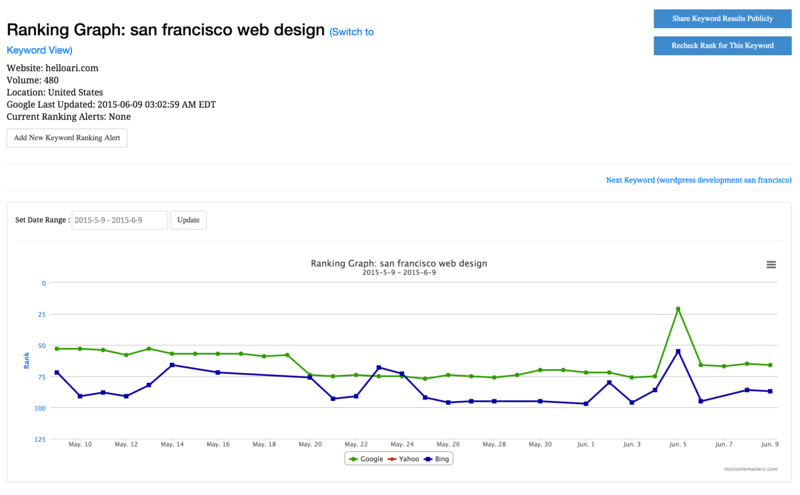 It’s good to start tracking now so you can see how your target keywords are performing over time. I have been focused on tools that are web-based. Ideally the tools would be simple — most small businesses don’t really want the geeky interface some tools offer — info overload that is only appropriate to an SEO professional. Some find it useful to track their competition also. Tracking links to your web pages is a major part of any SEO strategy. Fortunately, there are many tools to provide a comprehensive view of where your web pages stand. Here I will talk about four of those tools: AuthorityLabs SEO, Microsite Masters Rank Tracker, Wincher, and TinyRocketLab. AuthorityLabs started in 2008 and gained a strong reputation in delivering search engine ranking monitoring services. AuthorityLabs has three plans available, and it is the only one that does not offer a free plan, but it offers a free 30 days trial and it is the most complete tool. Daily Data: Daily rank checking is provided on all accounts to give you the best opportunity to react to changes in the search results. Local Results: Track search results at the city or postal code level for the most accurate and granular reporting available. Global Tracking: Easily add domains or pages to be tracked from any country and language offered by Google, Yahoo! and Bing. It provides all the important ranking reports, option to download and export to CSV and PDF format. AuthorityLabs tracks Google, Yahoo and Bing, you can generate the graph selecting the time range, and you can also see how the graph was in a specific date in the past, this way you have total access to the keywords history. 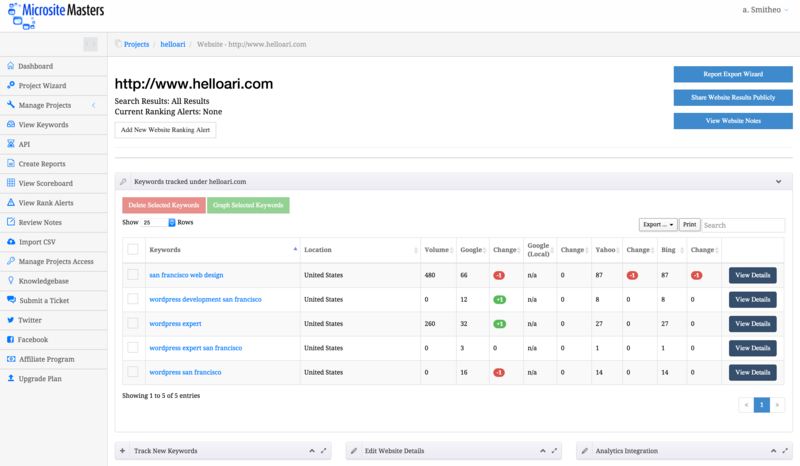 This tool tracks Google, Yahoo and Bing. It is the most complete free tool and the most similar to AuthorityLabs. The dashboard of rankings (and the interface in general) is very user friendly and all features available are well organized on the left sidebar. One other cool feature is the Customized Report, which allows you to easily export the report into Excel or PSD Files and share with clients and partners. There are advanced tracking metrics to determine campaign efficiency and there is the possibility to generate graphs of each keyword to view the site’s rankings, and also where other sites rank for each keyword you track. In this tool you can also generate graphs within a specific time range, but it differs from the AuthorityLabs graphs because AuthorityLabs compares all the keywords and the Microsite Masters compares each keyword by search engine. 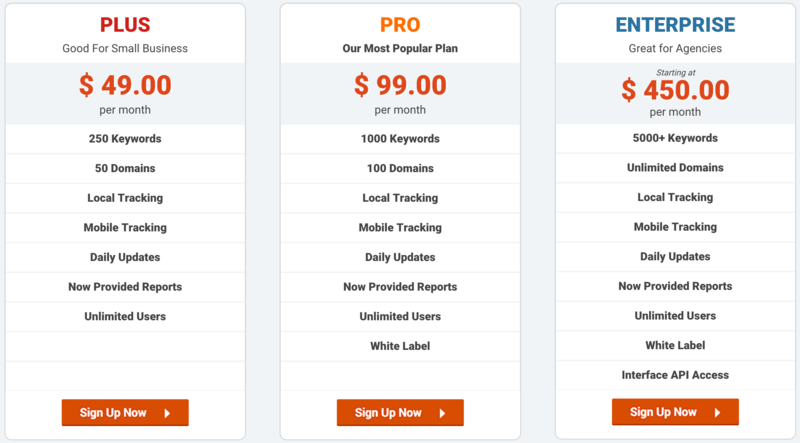 This tool offers two plans, both with unlimited numbers of keywords, but the free one has weekly updates, while the paid one has daily updates and costs €6. 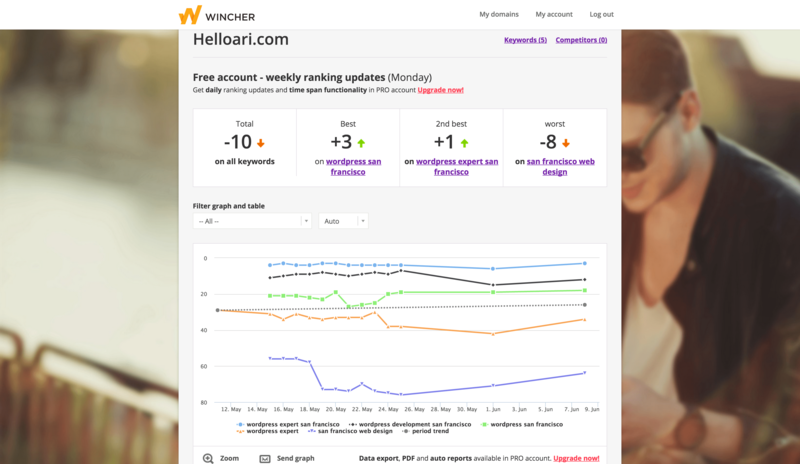 Wincher is a simpler tool when compared to the previous ones and it just tracks Google, but it does everything it should and has the most user friendly interface, with all the rankings, graphs, keywords information, etc. Easy search engine monitoring: Add your important keywords. We notify you when something big happens. Get a grip of your Ranking history: We save ranking data every day for your keywords. 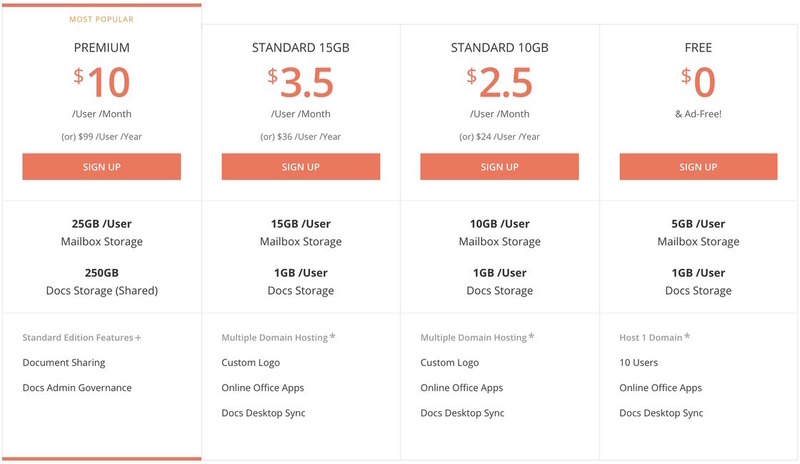 Dynamic low price: Add domains and keywords of your choice. Pay only for what you use. Daily ranking updates: Your domain rankings on chosen keywords updates daily. And of course your competitors position as well. Ranking alerts: Wincher alerts you when important changes take place! Easy sharing: You can easily share your ranking success via social media. Key information such as keyword progress and visibility is shown in the Dashboard, and a graph is available as well. TinyRocketLab is even simpler than Wincher and offer a little less information about the keywords, but it’s not a bad tool, it’s just less detailed-oriented. However, there is the Task management feature, that allows you to work with your team, create tasks and experiments. This is something unique among the rank trackers. This article is very developer focused but lists some great SEO tools. the place to start keyword research is here: Google Keyword Tool. You input a series of search terms and Google tells you how many people searched for those terms, and searched for related terms, both globally and locally. Click on the headings at the top of the table to sort by keyword, number of searches or competition. Competition is a measurement of how many people are actively marketing on that term through Google Adwords. This gives you some idea of how hard it may be to rank for the term. Google Insights for Search: Some search terms are just better than others, and search term value changes over time. Google Insights for Search lets you rank keywords against one another and lets you see their performance over time. The best thing, from a marketing perspective, it to have a website that sits on a keyword which is starting a meteoric rise. For example, if you are the only cell phone accessory store with content about the iPhone the week the iPhone is announced, and your site is equipped to close sales, you’ll likely draw a lot of traffic and sell a lot of product. 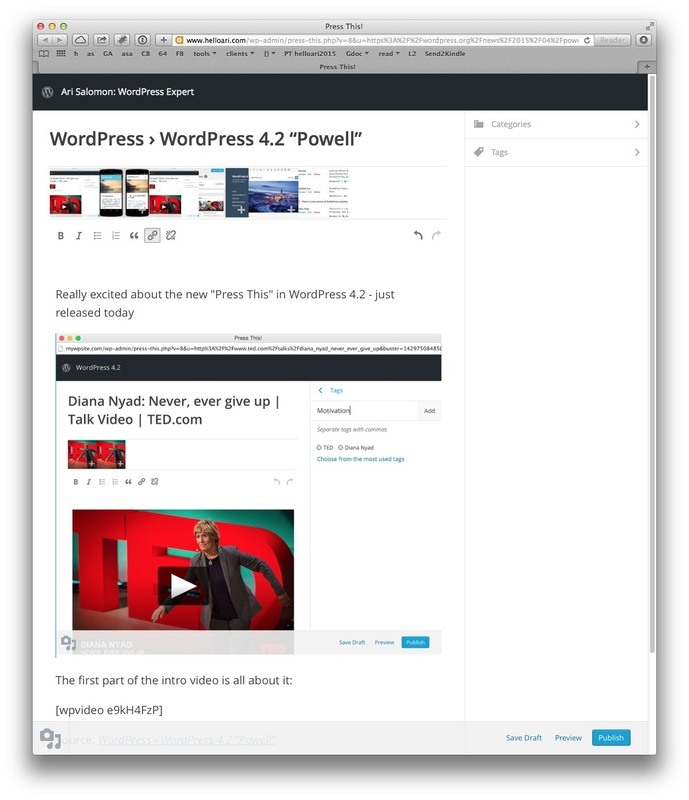 UPDATE: RankScanner has a great looking WordPress plugin. 5 keywords free, up to 30 free if you refer others to free accounts. 9€ /month for 100 keywords. I have many clients who find that their email list is their most important marketing tool. If someone allows you to message then in their email inbox you have a great opportunity to communicate your ongoing brand messages. The most sophisticated solution requires a member log-in system so the website can know who has signed up already. That’s what NYtimes has, for example. Without a login, the system can’t check the Mailchimp (or whatever) list and see who subscribed because WordPress doesn’t know the email address of the person who is currently visiting the site. WHO CLICKED A LINK IN NEWSLETTER? A partial solution is to add a special link in your email newsletter so when someone clicks a link from the newsletter they don’t get the “email wall”. 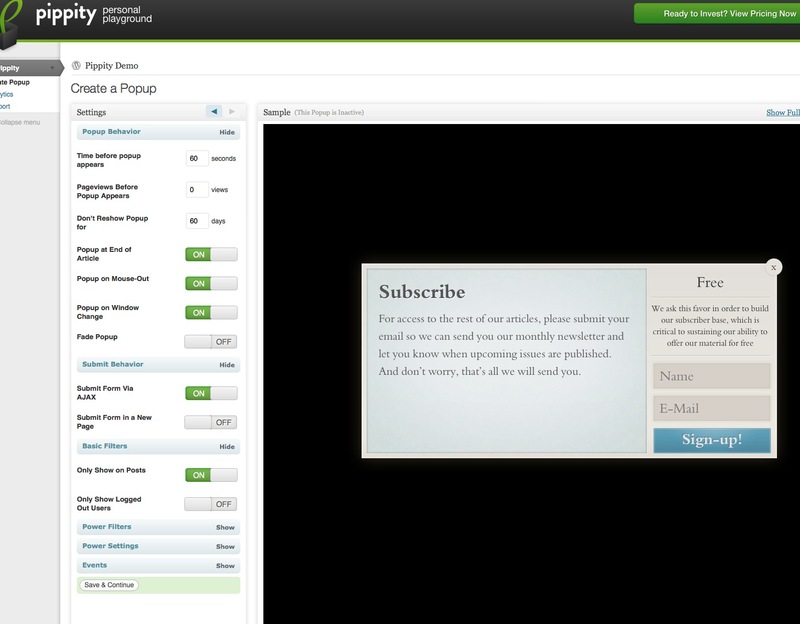 Another popular solution is to set up a “wall” where users have to give their email to read your content. Sometimes this “wall” can be “leaky” in the sense that you are not strictly requiring signup so users can just “close” the request to sign up. The strongest from of a “wall” is a “popover” where the browser screen dims and a message and signup form appear in the middle of the screen. This completely interrupts the users flow of reading your content and many users hate that interruption. But it can be effective. The name differentiates it from a “popup” which refers to how a ling can open a whole separate browser window/tab. I also suggest if you use this option you set display mode to be once per 30 days – or something like that – so if someone “closes” it the popover won’t come back. 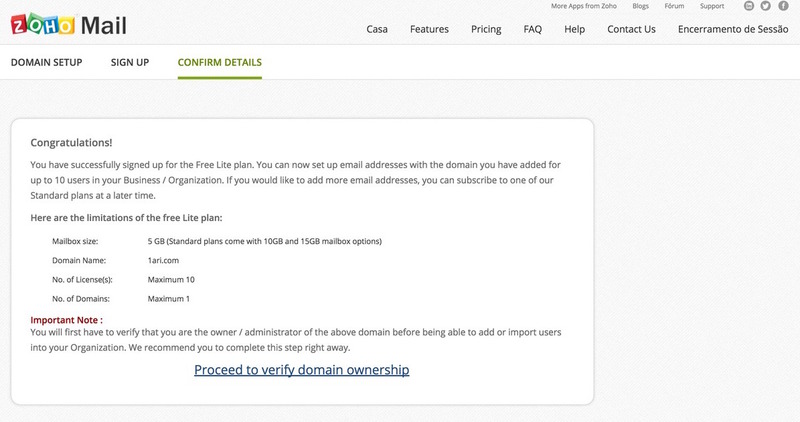 To try it out is not free – it is @$50 (or google around for coupons) – but it offers some nice features. They do offer a demo mode on their site so you can test it to some degree before buying. Not sure if you can make the text look like anything or just work within their templates. 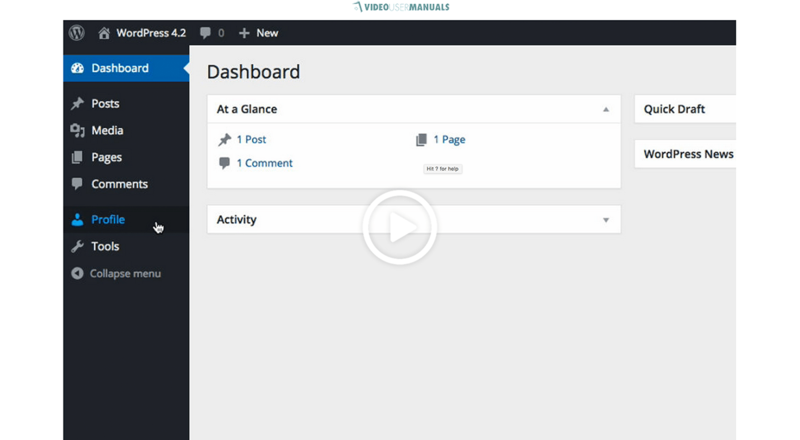 Create multiple popup profiles – view and manage them from an easy to use dashboard. There are other kinds of notifications – ones that appear at the end of a page and may slide in from the side. These are less intrusive than a “popover”. Also called “toasters” since they can pop up from the bottom of the screen. Another way to be less intrusive is to use an announcement bar at the top of the page instead of a popover. AddThis: they call it a “custom message” and can be shown as popover or a “announcement” bar at top or bottom. They have a bunch of new share/follow options these days so be sure to check that out too. 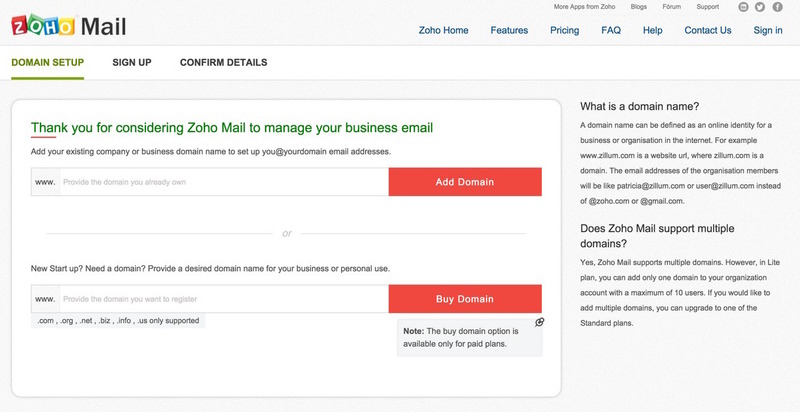 MailMunch offers all 4 types of signup forms (Popup/Popover, Embedded, Top Bar, Scroll Box) and includes free and paid version (plugin links). Free version available. 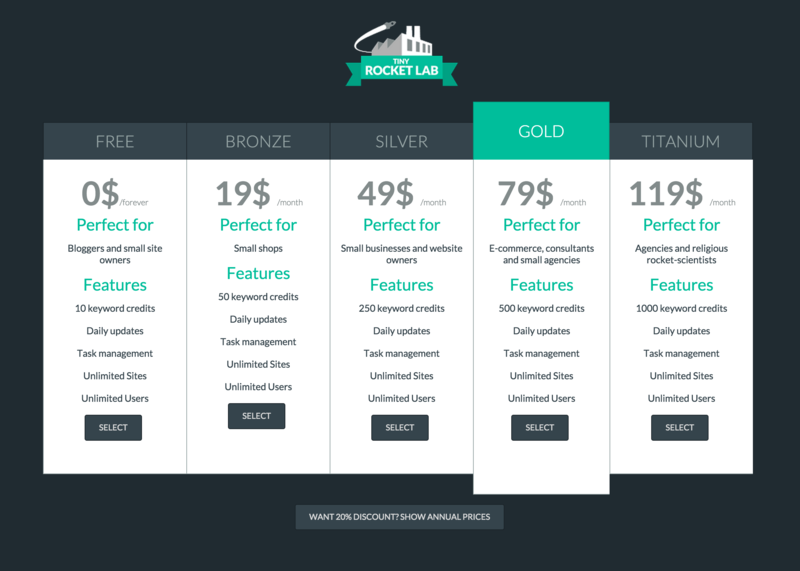 Launch Effect is a WordPress landing page theme with built in MailChimp integration. AddThis: I mention them above but it’s worth repeating since they really have a fully-featured set of tools. Free version available. A “leaky” pay wall is basically what NTtimes does. Opt in to view an ad before consuming content. “Custom Content Types“ (CCT) or “Custom Post Types” (CPT) are the same thing: ways to group together similar types of content. “Custom Post Types” is the official name since WordPress started with “posts” but I think it’s more useful to think of them as types of “content”. They are stored just like posts and pages with a unique ID (what Drupal calls a ‘node’), but aren’t considered the same as a post or a page. 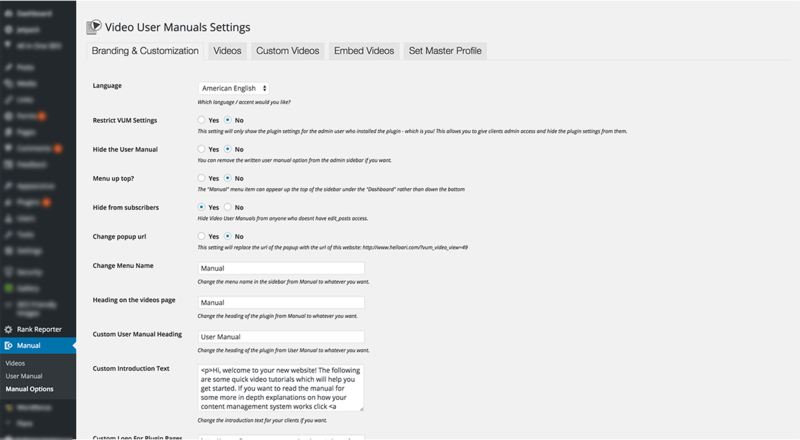 WordPress comes with 2 main default content types: posts and pages. Technically these are also CPTs: menus, media/attachments and links (an older default that won’t appear on newer WP sites). Taxonomies are ways to categorize CPTs. Tags and Categories are the default taxonomies for Posts. If you are building a food website perhaps “color”, “flavor” and “season” would be usefully custom taxonomies. Tags and Categories are very similar but have a different admin interface and only Categories allow for nested (“parent/child”) sub-categories. Only “posts” are in the main default RSS feed but WordPress automatically builds an RSS feed for each taxonomy item and each CPT. 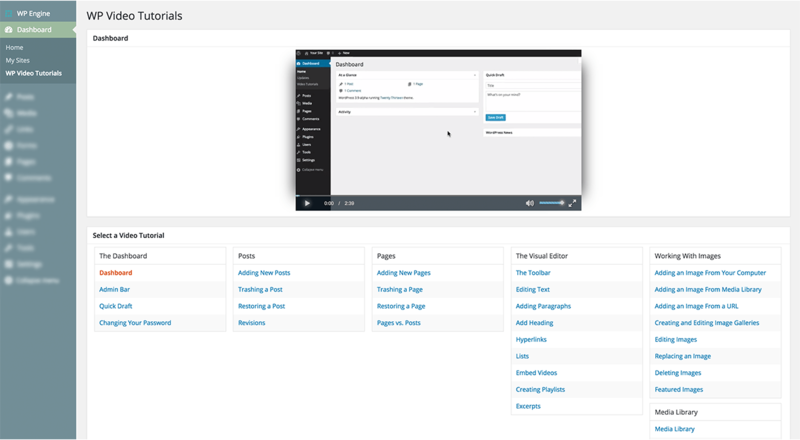 Custom Page Templates are special files for WordPress that control how content will be displayed. They are used only with pages in WordPress, not with posts or CPTs. “Archive” (an index or overview page that commonly shows 10 recent posts at a time. for a simple blog this is the homepage. 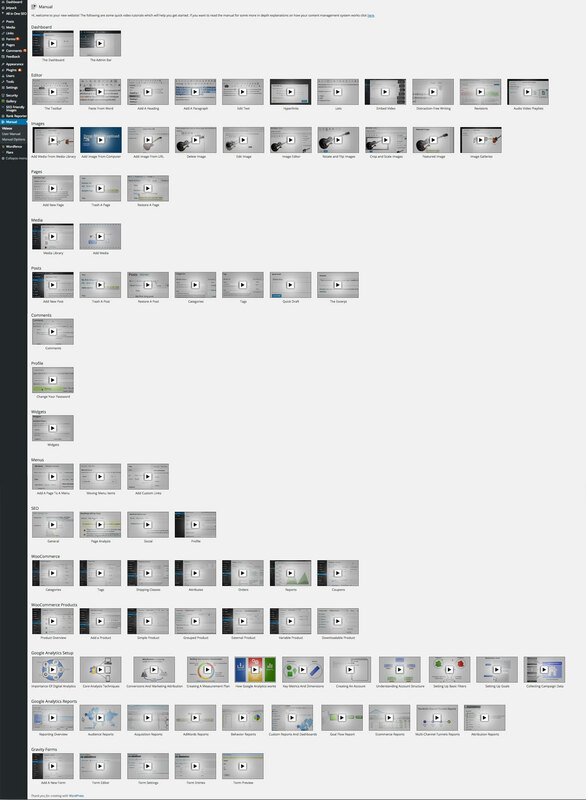 But every taxonomy term will have an archive page and WordPress also builds archives pages by date. Ultimately, he wanted to send me the amount of the project plus an additional $2700 which I was then to pay his content manager. Post any online classified ad and you’ll get a bunch of quick replies from people “interested in your item” they all use this we’ll send you extra money ploy. The check is always counterfeit. Here’s the 2 exchanges I had recently…. luckily that second one tipped me off that the first one was a scam. I didn’t waste time sending them a proposal. Subject: RE: Web Design Service Ca!!! Thanks for your swift response and i have small scale business which i want to turn into large scale business now it located in CA and the company is based on importing and exporting of Agriculture products such as Kola Nut, Gacillia Nut and Cocoa so i need a best of the best layout design for it. Can you handle that for me ?. so i need you to check out this site but i need something more perfect than this if its possible .http://www.agroamerica.com <http://www.agroamerica.com/>…. the site would only be informational, so i need you to give me an estimate based on the site i gave you to check out, the estimate should include hosting and i want the same page as the site i gave you to check out and i have a private project consultant, he has the text content and the logos for the site. Am Wooldridge i am an hearing impaired.i wanna know if you can handle website design for a new company and also if you do you accept credit cards ?? l have small scale business which i want to turn into large scale business now it located in NV and the company is based on importing and exporting of Agriculture products such as Kola Nut, Gacillia Nut and Cocoa, so i need a best of the best layout design for it. Can you handle that for me ?. I need you to check out this site but i need something more perfect than this if its possible .http://www.agroamerica.com…. the site would only be informational, so i need you to give me an estimate based on the site i gave you to check out, the estimate should include hosting and i want the same page as the site i gave you to check out. I have a private project consultant, he has the text content and the logos for the site. 4. you will be maintaining and updating the site for me. Am Terrance Spencer I am an hearing impaired. I wanna know if you can handle website design for a new company and also if you do you accept credit cards kindly get back to me with you requested to my email address terrancespencer01@outlook.com so I can send you the job details. I will be be expecting your responds, Thanks. I’m hearing impaired i need to know if you can handle website design for a new company and i also need to know if you accept credit cards as form of payment?